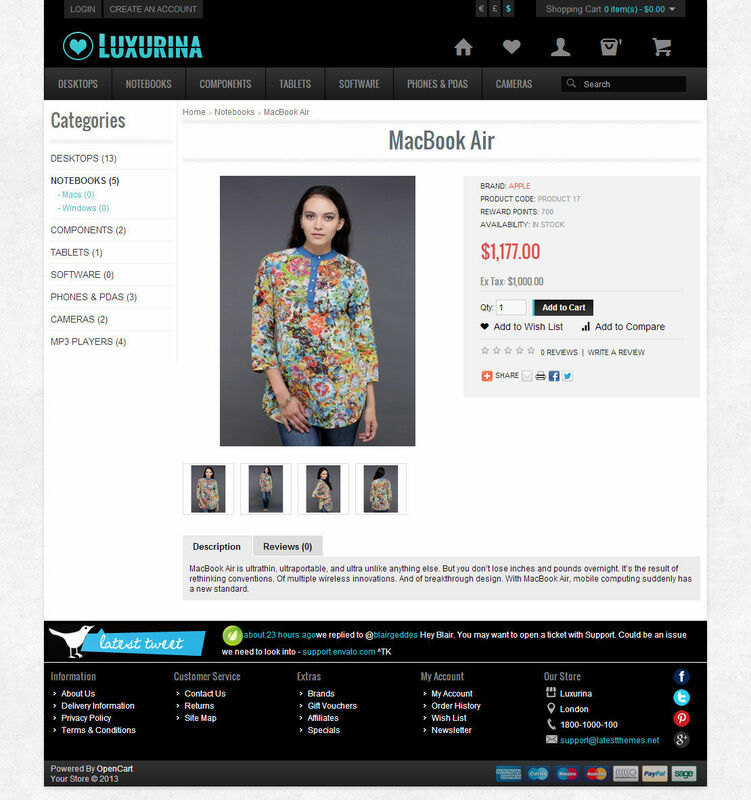 Luxurina is a very advanced OpenCart theme suitable for fashion,clothes related stores. 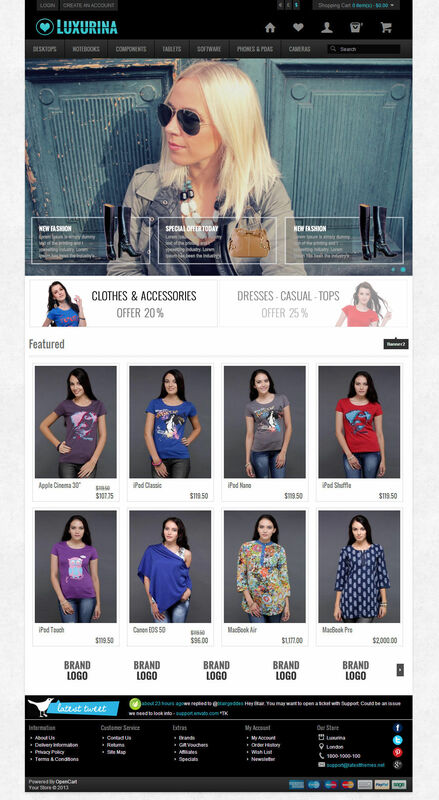 The theme is designed in a way to show the products clearly for the customers where viewers are turned to buyers. 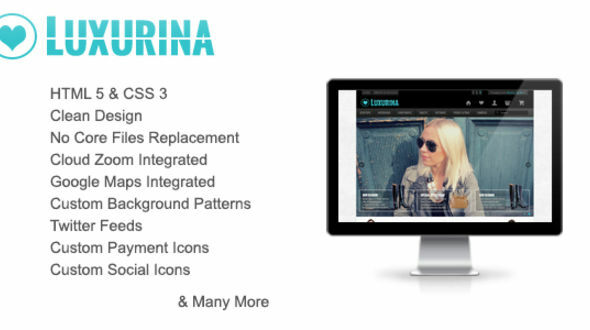 Whether  you’re looking for a new skin for your existing Opencart based store or a template to modify for your client, Luxurina is the right choice. 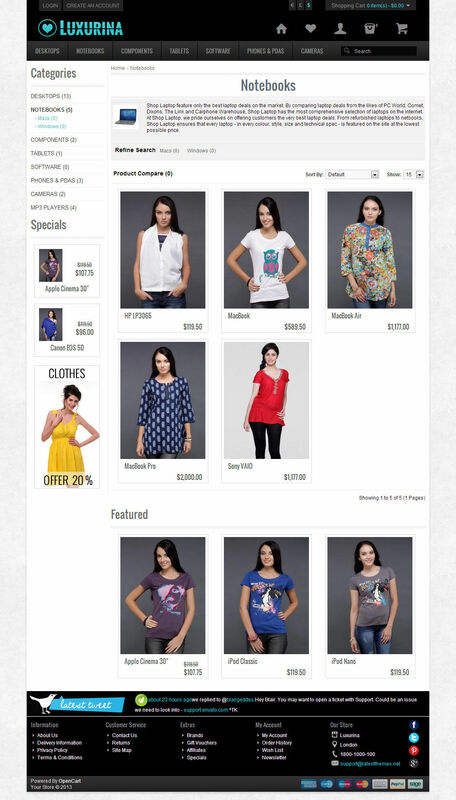 -You can set background pattern for body. Aroud 40 background pattern is included. 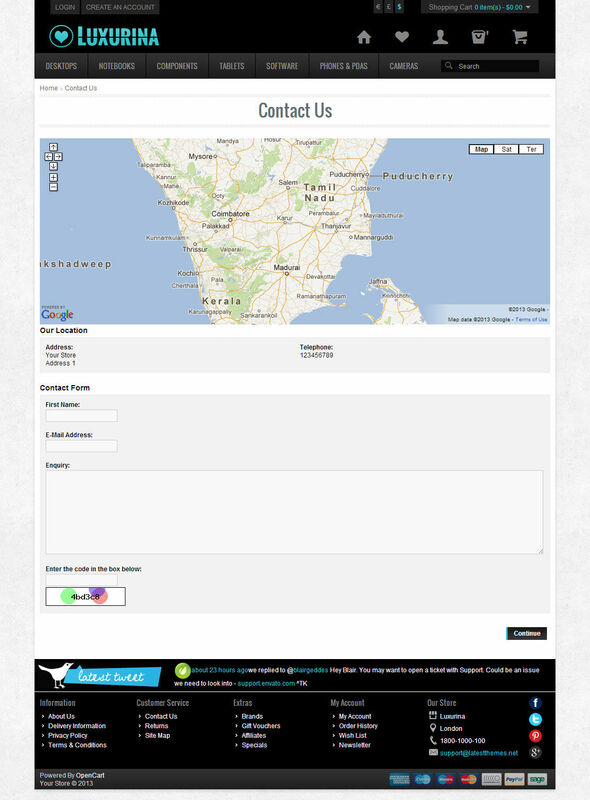 If you like my template, please dont forget to rate it! Thank you!